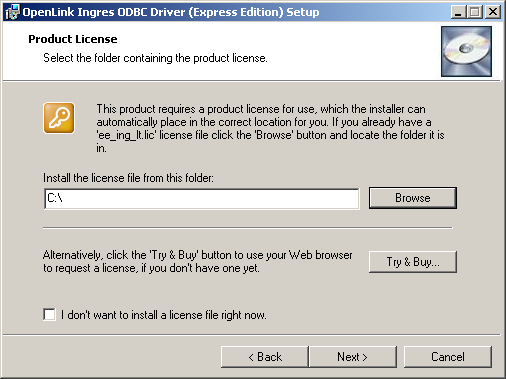 Click on the 'download license' button to immediately obtain the license file and save it to your desktop. Alternatively, an auto-generated e-mail will be sent to your registered e-mail address. 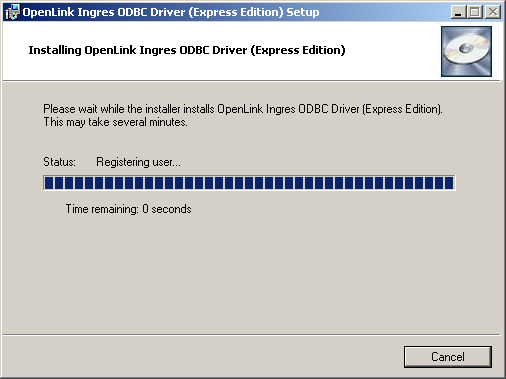 This email will contain a link to your OpenLinkData Space ( ODS). 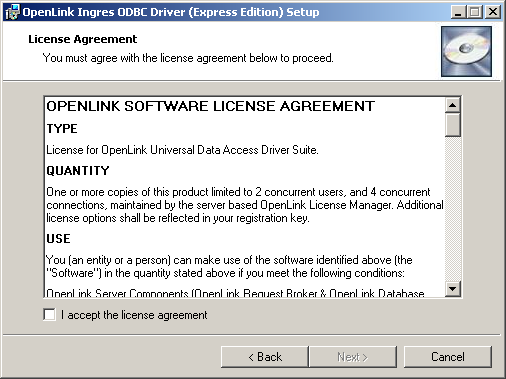 The OpenLInkData Space ( ODS) contains copies of all trial and full license files in a Briefcase for download at a later date. Host : This is the fully qualified hostname or IP address of the machine hosting the DBMS you wish to access, e.g., dbms-server.example.com, or 192.168.155.123. Any hostname which will be resolved by your local DNS is acceptable. RoleName Role used in DBMS. GroupName Group used in DBMS. DbmsUser User ID for the DBMS session (-u flag). VnodeUsage Allows the JDBC application to control the portions of the vnode information that are used to establish the connection to the remote DBMS server. Available options are 'connect','login' (default - 'connect'). CharEncode Specifies the character encoding for the conversions between Unicode and character data types. Generally, the character encoding is determined automatically by the driver from the DAS installation character set. This property allows an alternate character encoding to be specified (if desired) or a valid character encoding to be used when the driver is unable to map the server's character set. TimeZone Specifies the Ingres timezone associated with the client's location. Corresponds to the Ingres environment variable II_TIMEZONE_NAME and is assigned the same values. This property is not used directly by the driver but is sent to the DBMS and affects the processing of dates. DecimalChar Specifies the character to be used as the decimal point in numeric literals. Corresponds to the Ingres environment variable II_DECIMAL and is assigned the same values. This property is not used directly by the driver but is sent to the DBMS and affects the processing of query text. DateFormat Specifies the Ingres format for date literals. Corresponds to the Ingres environment variable II_DATE_DECIMAL and is assigned the same values. This property is not used directly by the driver but is sent to the DBMS and affects the processing of query text. MoneyFormat Specifies the Ingres format for money literals. Corresponds to the Ingres environment variable II_MONEY_FORMAT and is assigned the same values. This property is not used directly by the driver but is sent to the DBMS and affects the processing of query text..
MoneyPrecision Specifies the precision of money data values. Corresponds to the Ingres environment variable II_MONEY_PREC and is assigned the same values. This property is not used directly by the driver but is sent to the DBMS and affects the processing of money values. 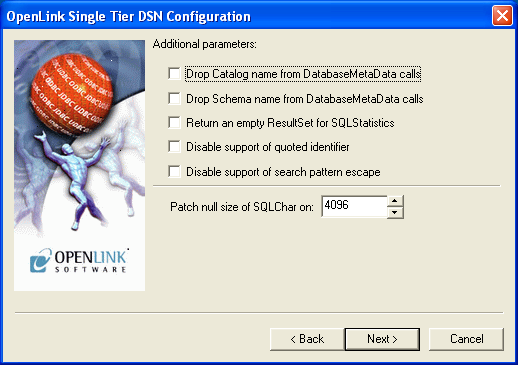 Drop Catalog name from DatabaseMetaData calls - Enable this option to have the catalog name not appear for tables, views, and procedures when requesting database meta-data. Return an empty ResultSet for SQLStatistics - Check this box to have SQLStatistics() return an empty resultset. Use this if the underlying database does not support retrieving statistics about a table, e.g., what indexes there are on it. Disable support of quoted identifier - If it is set, the call SQLGetInfo for 'SQL_IDENTIFIER_QUOTE_CHAR' will return the space (" "). It can be used if the DBMS does not support quoted SQL, e.g., select * from "account." Disable support of search pattern escape - If it is set, the call SQLGetInfo for 'SQL_LIKE_ESCAPE_CLAUSE' will return the space (" "). It can be used if the DBMS does not support SQL escape patterns. Patch of NULL size of SQL_CHAR - If set, this option overrides the size of SQL_CHAR column type returned by the database with the value set in the text box (in bytes). 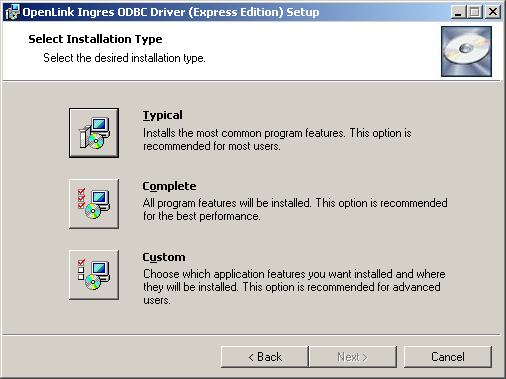 With the default value of 0, the driver uses the size returned by the database. Max rows override - Allows you to define a limit on the maximum number of rows to be returned from a query. The default value of 0 means no limit. Dynamic Cursor Sensitivity - Enables or disables the row version cache used with dynamic cursors. When dynamic cursor sensitivity is set high, the Cursor Library calculates checksums for each row in the current rowset and compares these with the checksums (if any) already stored in the row version cache for the same rows when fetched previously. If the checksums differ for a row, the row has been updated since it was last fetched, and the row status flag is set to SQL_ROW_UPDATED. The row version cache is then updated with the latest checksums for the rowset. From the user's point of view, the only visible difference between the two sensitivity settings is that a row status flag can never be set to SQL_ROW_UPDATED, when the cursor sensitivity is low. (The row status is instead displayed as SQL_ROW_SUCCESS.) In all other respects, performance aside, the two settings are the same - deleted rows do not appear in the rowset, updates to the row since the row was last fetched are reflected in the row data, and inserted rows appear in the rowset if their keys fall within the span of the rowset. If your application does not need to detect the row status SQL_ROW_UPDATED, you should leave the 'High Cursor Sensitivity' checkbox unchecked, as performance is improved. The calculation and comparison of checksums for each row fetched carries an overhead. If this option is enabled, the table oplrvc must have been created beforehand using the appropriate OpenLink script for the target database. 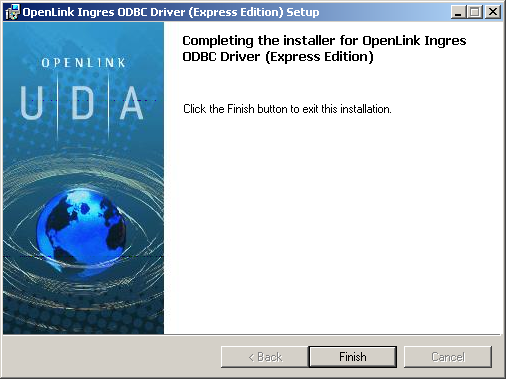 Disable AutoCommit - Change the default commit behaviour of the OpenLink Driver. The default mode is AutoCommit (box unchecked). SQL_DBMS Name - Manually override the SQLGetInfo(SQL_DBMS_NAME) response returned by the driver. This is required for products like Microsoft InfoPath for which the return value must be "SQL Server". 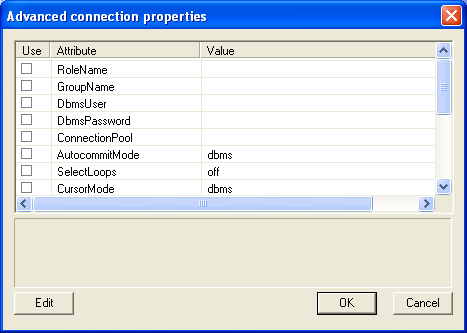 Click on the Test Data Sourcebutton to verify that a successful connection can be made to the database.